For the past three years I travel with my man to Baton Rouge to watch the first home LSU football game, and every year he brings me to a fast food restaurant that I just cannot resist, "Raising Cane's Chicken Fingers." When I tell you that they have the best chicken fingers ever, trust me, they DO! Whenever we visit Cane's we are greeted kindly by their staff and order right away. My go to on the menu is the "3 finger Combo" with a lemonade and an extra side of Cane's sauce ( it's to die for). If I'm really hungry I also get an extra side of Texas Toast. (I know what you're thinking, but you can splurge one day out of the week on a guilty pleasure. YOLO!) You can either order through the drive thru or go inside of the restaurant where you can learn about the owner and how he the got the idea for the name, "Raising Cane's." I love reading stories about entrepreneurs and their story behind the business. 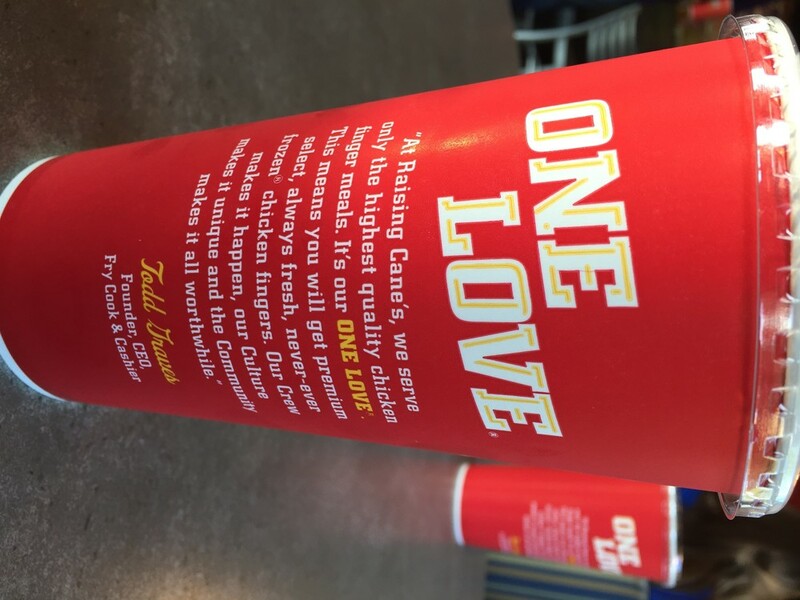 As quoted from Raising Cane's restaurant, " Raising Cane's has ONE LOVE… Quality Chicken Finger Meals." Looks like Cane's and I share several similar interests; Great food, an awesome story, and a love for dogs! Mixed MagicBluHazl September 24, 2015 all, bahamian, beauty, ethnicity, father, french, Girl Talk, hair, hazl, Hazl's Way, Is it real?, italian, love, mixed, natural, puerto rican, real, Real Hair, Sister 2 Sister, Style, What are you?